Note 1: Even though it’s mid-2018, this post is still about the X Window System. Things still are in the transition phase towards Wayland, and things might get better or different over time. Note 2: This post is not about displaying a graphical window of a program running on a remote machine on the local machine (like VNC or X forwarding). It is about running a remote program and displaying its graphical window on the remote machine itself, as if it had been directly started by a user sitting in front of the remote display. One obvious use case for the solution to this problem would be a remote graphics rendering farm, where programs must make use of the GPU hardware acceleration of the machine they’re running on. Note that graphical programs started via Xvfb or via X login sessions on fake/software displays (started by some VNC servers) will not use GPU hardware acceleration. The project VirtualGL might be a viable solution too, but I haven’t looked into that yet. I’m going to explore the behavior of localhost relative to our problem first. You’ll need to be logged in to an X graphical environment with monitor attached. Running a local program with a graphical window from a local terminal on a local machine is trivial when you are logged into the graphical environment: For example, in a terminal, simply type glxgears and it will run and display with GPU hardware acceleration. Glxgears will run at this point. Things become even more interesting when you SSH into some other local user on localhost, called “other” below. 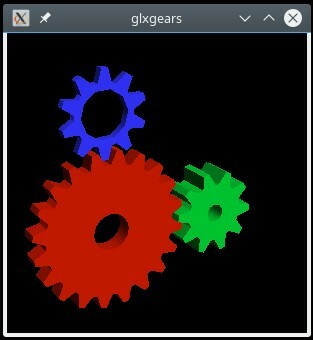 Then DISPLAY=:0 glxgears will start working as user “other”. Settings via xhost are not permanent across reboots. Make sure you remove /tmp/xauthority_me after this test. Note that the Xauthority file is different after each reboot. But it should be trivial to make it available to other users in a secure way if done properly. A real X login session active (you will likely need to set up auto-login in your display manager if the machine is not accessible). A real monitor attached. Modern graphics cards and/or BIOSes simply shut down the GPU to save power when there is no real device attached to the HDMI port. This is is not Linux or driver specific. Instead of real monitors, you probably want to use “HDMI emulator” hardware plugs – they are cheap-ish and small. Otherwise, the graphical window might not even get painted into the graphics memory. The usual symptom is a black screen when using VNC. If you SSH-login into the remote machine, as the user that is currently logged in to the X graphical environment, you can just set the DISPLAY environment variable when running a program, and the program should show on the screen. If you SSH-login into the remote machine, as a user that is not currently logged in to the X graphical environment, but some other user is, you can set both DISPLAY and XAUTHORITY environment variables as explained further above, and the program should show up on the screen.